The brand new Aalborg Royal Cruise Berth is the latest addition to a choice of four different cruise berths in the heart of Aalborg, only a few minutes walk - or by complimentary water or bus shuttle service - from the bustling city center. 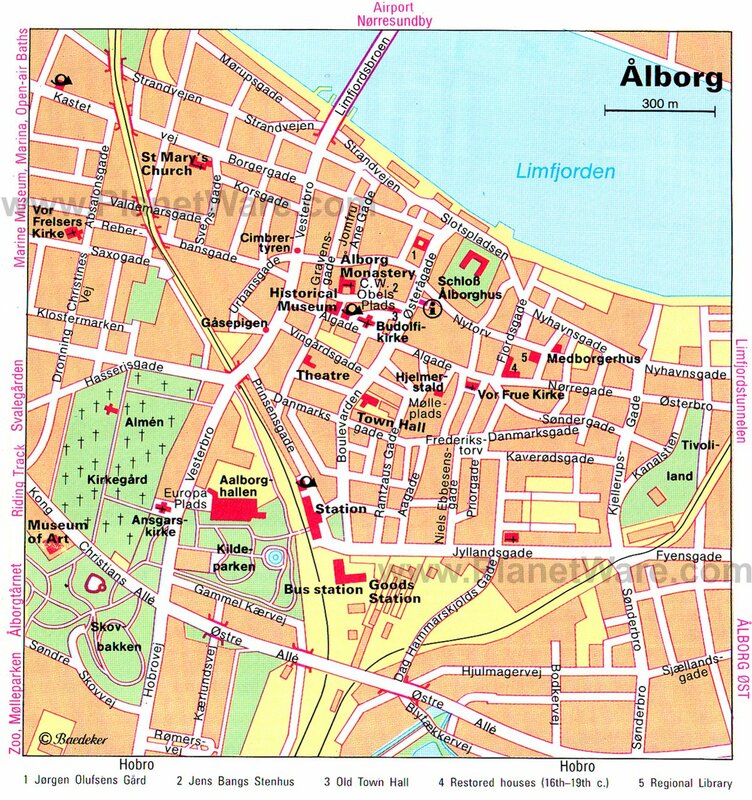 Check here for festivals and events in Aalborg when you are in port. Aalborg's waterfront has recently undergone a thorough renovation. It used to be a busy industrial area, but now you can experience the world-class architecture, exciting cuisine and cozy cosmopolitan atmosphere. Aalborg is a multi-faceted city - full of contrasts. A city with a lust for life and all of its pleasures. It's also grand on a manageable scale. All the major city attractions are concentrated within easy distance. From fast-paced fun to peaceful oases. From a foaming draft beer to sublime gastronomy. From the Viking era to the Middle Ages, to modern art. As an added attraction, the countryside around Aalborg is inviting and beautiful. The old castle Aalborghus Castle (Aalborghus Slot) and some picturesque houses of the 17th century remain in the center of the town. The half-timbered (bindingsværk) castle was built in 1550 by King Christian III, and was converted to government administration offices in the 1950s. Jens Bang's House, a five-story building built in 1624 by the merchant Jens Bang is an example of renaissance architecture. It is located on Nytorv next to the old Town Hall. Budolfi Church cathedral dates mostly from the middle of the 18th century, while Vor Frue Kirke (Church of Our Lady) was partially burnt in 1894. The foundations of both churches are from the 14th century or earlier. Aalborgtårnet is a tripod tower erected in 1933. The tower still gives an exquisite view over the fjord and the city from its 105 meters rise over the sea level. Just below the hill of the tower is Aalborg Kunstmuseum (Aalborg museum of Art) in a building designed by Finnish architect Alvar Aalto. Aalborg is home to De Danske Spritfabrikker ("Danish Distillers"), which is the world's largest producer and exporter of aquavit. In the inner city you can find a varied choice of specialty shops side by side with the large department stores. There are two main pedestrian streets - Bispensgade og Algade - in the city center. In Nytorv you can find the two department stores Salling and Føtex. In City Syd (south of Aalborg) you can find the large shopping center, Aalborg Storcenter, with 60 smaller shops and the department store Bilka. North of the Limfjord you can find the large department store Kvickly Extra. Shopping hours: Monday-Thursday 10-17.30/18, Friday 10-19/20, Saturday 9.30-15.